Ever since Peter Pan flew in through Wendy Darling's nursery window and took her off to Never Land, Barrie's classic adventure story has thrilled and delighted generations of theatre-goers. J M Barrie wrote Peter Pan first as a work of prose and then adapted it for the stage. John Caird and Trevor Nunn first adapted Barrie's book and play in the 1980s for the Royal Shakespeare Company and then in 1997 for the Royal National Theatre. Sir James Matthew Barrie, 1st Baronet, OM (9 May 1860 - 19 June 1937), more commonly known as J. M. Barrie, was a Scottish novelist and dramatist. 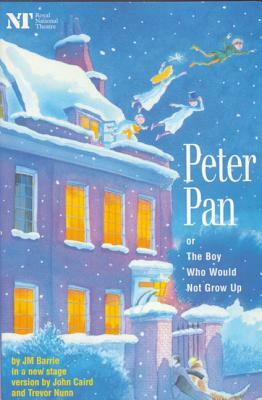 Most people remember him for inventing the character of Peter Pan, whom he based on his friends, the Llewelyn Davies boys. Peter Pan had its first stage performance on 27 December 1904.